Has it been a while? It feels like it’s been a while. I have been extremely busy. So much going on that it’s exhausting to even talk about right now. I will say that I’ve watched way many trailers in the past month. 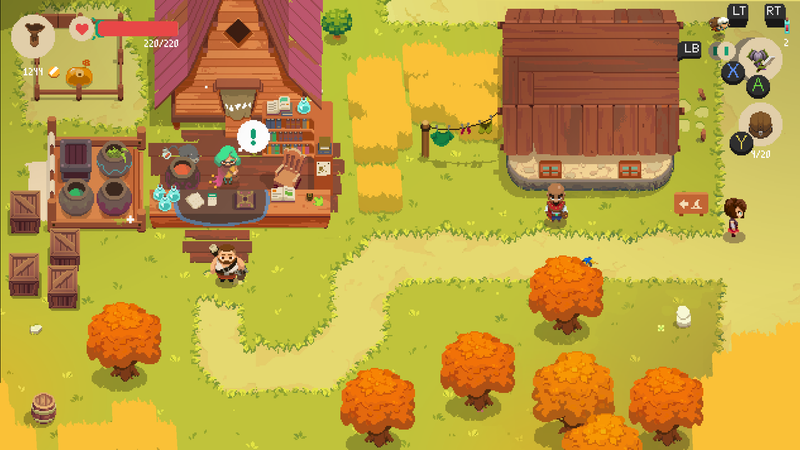 During this time I discovered Moonlighter. You play as Will, a humble shopkeeper by day and a dungeon crawling adventurer at night. I haven’t played the game myself, yet. It’s out on PS4, Xbox One, and PC, but I am waiting on the Switch version, which isn’t coming out until later this year (hopefully). I’ve seen people make the comparisons to that one game... umm, with “Capitalism, Ho!” as the tagline. Recettear! That one. I never played it. But I wanted to. Maybe this one is similar enough? Got me thinking about Dragon Quest IV when I did play as the great shopper Torneko. Those were good times. What NPC role would you like to play? If you were the Shopkeeper, what would you sell? If you’re headed into exams, good luck! If you’re already done, good job! What are everyone’s summer plans if you got?